Apartamento recién reformado con vistas al mar y al campo de golf Cala Nova. La terraza excepcionalmente grande es perfecta para que una barbacoa se relaje y disfrute de las vistas. If anything else is requested please let us know & we can make arrangements. What a truley wonderful experience from start to finish. 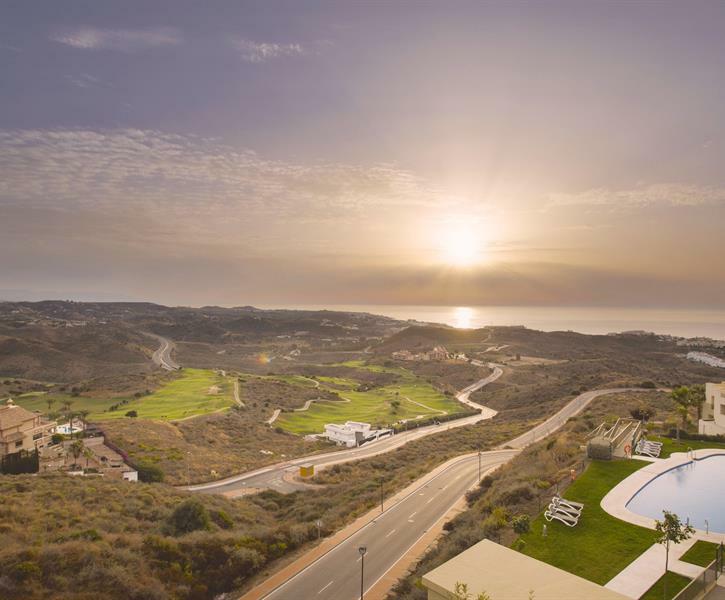 Extremely friendly host (very helpful/responsive and couldn’t do enough for me) Incredible place with a view to die for.. very relaxing, clean and perfect spot if you are a keen golfer. Will definitely be back soon and I couldn’t recommend more. What a property! I booked this apartment for my husband to play golf but honestly that’s only the tip of the iceberg, so much to do! Not only are the facilities in the apartment great, there are 2 pools and a private gym too. Next time we will bring our friends as the apartment has 2 beautiful bedrooms and a large balcony/terrace. So many restaurants and if you’re feeling a night at home there’s a new gas bbq to use. 100% coming back again! We really enjoyed our stay at La Cala de Mijas, the apartment was ideal for a relaxing holiday with a few days of golf on well maintained courses. The apartment had everything we needed , and is well located for beach, walking, golf or just relaxing by the pool.